Phoenix officials are unloading city-owned properties to generate revenue, cut costs and alleviate concerns about its land management practices. An internal review found that the city doesn’t need at least 656 properties or land parcels it owns, the Arizona Republic reports. Additionally, a 2016 Republic report found that the city owns about 1,400 vacant properties that cover 2.3 square miles. “The city has sat with this plethora of land since point of beginning and it’s just grown like mold," retired real estate agent Greta Rogers told the Phoenix city council, per the Republic. "I’m glad we’re finally addressing this situation." 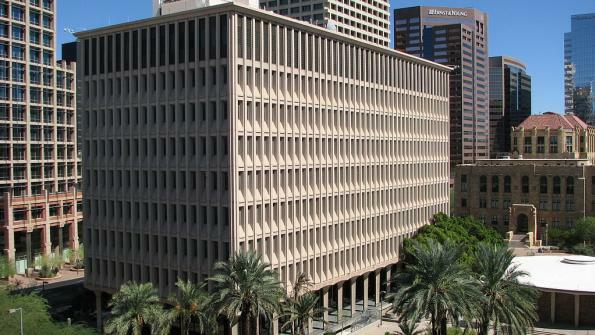 After the Republic’s report, Phoenix City Manager Ed Zuercher had his staff begin an ongoing review of Phoenix’s 5,500 properties, the Republic reports. While the city has no estimate for how much it spends to maintain vacant lots, the Neighborhood Services Department owns about 300 parcels of land and spends about $180,000 per year to maintain them, according to the Republic. The city has since launched an online mapping tool that lists properties for sale, KJZZ reports. The tool lets visitors sort properties by zip code, council district, square footage, price and address. Deputy City Manager Paul Blue recommended that in selling its land, the city could save money in maintenance costs and legal issues, KJZZ reports. Meanwhile, the Phoenix Sky Harbor’s Terminal 3 modernization project was ranked as having the most expensive total budget among the Phoenix metro’s construction projects in the Phoenix Business Journal’s annual construction project rankings. The city-owned airport’s total project budget is $158 million, the Journal reports.